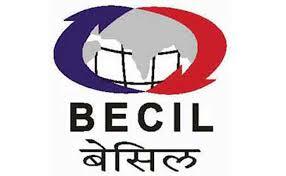 BECIL Jobs Recruitment 2018-19 for Halwai, Cook Posts: Broadcast Engineering Consultants India Limited has advertised a notification for the recruitment of Halwai, Cook – 04 vacancies. Candidates are Interested in the Vacancies details and passed 5th, 8th, 10th, 12th, ITI Pass, Graduate, PG, Degree/ Diploma Examination. Candidates may apply on or before 09-11-2018 Hrs on wards. Qualified in Matriculation or equivalent pass from a recognized board or ITI pass in relevant subject. Candidates age limit is 60 years, Age relaxation is as per Govt rules. Applicant have to pay Rs.500/- for General / OBC category, Rs.250/- for SC/ST/PH others candidates.Pay by debit card, cash or demand draft drawn in favour of BROADCAST ENGINEERING CONSULTANTS INDIA LIMITED payable at New Delhi. Interested candidates apply may submit their application in the prescribed forms downloaded by visiting the website along with along with self-attested photocopies of educational/ experience certificates, two passport size photograph, Aadhar Card may please be submitted to Assistant General Manager (HR) in BECIL’s Corporate Office at BECIL Bhawan, C-56/A-17, Sector-62, Noida-201307 (U.P) on or before 09-11-2018 Hrs on wards. Last Date for Application: 09-11-2018 Hrs. BECIL Jobs Recruitment 2018-19 for Multi Tasking Staff Posts: Broadcast Engineering Consultants India Limited has Recruitment Notification for 50 Multi Tasking Staff vacancies. Interested for getting Multi Tasking Staff Vacancies, May Apply on or before 12-11-2018 Hrs on Wards. Candidates age limit is 18 to 25 years, 35 years for Post No.2, Age relaxation is as per Govt rules. Applicant have to pay Rs.500/- for General / OBC category, Rs.250/- for SC/ST/PH others candidates.Pay by debit card, cash or demand draft drawn in favor of BROADCAST ENGINEERING CONSULTANTS INDIA LIMITED payable at New Delhi. Interested candidates apply may submit their application in the prescribed forms downloaded by visiting the website along with along with self-attested photocopies of educational/ experience certificates, two passport size photograph, Aadhar Card may please be submitted to Assistant General Manager (HR) in BECIL’s Corporate Office at BECIL Bhawan, C-56/A-17, Sector-62, Noida-201307 (U.P) on or before 12-11-2018 Hrs on wards. Last Date for Application: 12-11-2018 Hrs. BECIL Jobs Recruitment 2018-19 for Patient Care Manager & Coordinator Posts: Broadcast Engineering Consultants India Limited has Recruitment Notification for 131 Patient Care Manager & Coordinator vacancies. Interested for getting Patient Care Manager & Coordinator Vacancies, May Apply on or before 09-04-2018 Hrs on Wards. Qualified in Bachelors Degree in Life Sciences with full time Post Graduate Qualification in Hospital (or Healthcare) Management from a recognized university for Post No.1, Bachelors Degree in Life Sciences (preferred) or Bachelors Degree in any field for Post No.2 and one year experience in a hospital after acquisition of the aforementioned qualification. Candidates age limit is 40 years for Post No.1, 35 years for Post No.2, Age relaxation is as per Govt rules. Card/Cash. The SC/ST/PC candidates shall be exempted from registration fee. Interested candidates apply may submit their application in the prescribed forms downloaded by visiting the website along with along with self-attested photocopies of educational/ experience certificates, two passport size photograph, Aadhar Card may please be submitted to Assistant General Manager (HR) in BECIL’s Corporate Office at BECIL Bhawan, C-56/A-17, Sector-62, Noida-201307 (U.P) and BECIL’s Head Office at 14-B, Ring Road, I.P Estate, New Delhi – 110002 on or before 09-04-2018 Hrs on wards. Last Date for Application: 09-04-2018 Hrs. BECIL Jobs Recruitment 2017-18 for Medical Lab Technologist Posts: Broadcast Engineering Consultants India Limited has Recruitment Notification for 43 Medical Lab Technologist vacancies. Interested for getting Medical Lab Technologist Vacancies, May Apply on or before 03-10-2017 Hrs on Wards. Qualified in Bachelor’s degree in Medical Laboratory Technologists/ Medical Laboratory Science (Physics, Chemistry and Biology/ Biotechnology) from a Government recognized university/ institution with 2 years relevant experience in a Laboratory attached with a hospital having minimum 100 beds. Candidates age limit is 35 years, Age relaxation is as per Govt rules. Applicant have to pay Rs.300/- by cash or by demand draft drawn in favor of “Broadcast Engineering Consultants India Limited” payable at New Delhi. SC/ST/Divyang candidates are exempted from the registration fee. Interested candidates apply may submit their application in the prescribed forms downloaded by visiting the website along with along with self-attested photocopies of educational/ experience certificates, two passport size photograph, Aadhar Card a to Assistant General Manager (HR) in BECIL’s Corporate Office at BECIL Bhawan, C-56/A-17, Sector-62, Noida-201307 (U.P) and BECIL’s Head Office at 14-B, Ring Road, I.P Estate, New Delhi – 110002 on or before 03-10-2017 Hrs on wards. Last Date for Application: 03-10-2017 Hrs. BECIL Jobs Recruitment 2017-18 for Content Auditor, Sr Monitor, Monitor Posts: Broadcast Engineering Consultants India Limited has Recruitment Notification for Content Auditor, Sr Monitor, Monitor – 42 vacancies. Interested for getting Content Auditor, Sr Monitor, Monitor Vacancies, May Apply on or before 15-09-2017 Hrs on Wards. Applicant have to pay Rs. 300/- by cash or by demand draft drawn in favor of “Broadcast Engineering Consultants India Limited” payable at New Delhi may be sent through speed post/in person on the address mentioned at the top. SC/ST/Divyang candidates are exempted from the registration fee. Interested candidates apply may submit their application in the prescribed forms downloaded by visiting the website along with self attested photocopies of education/ experience certificates, two passport size photograph. The envelope containing application must be super-scribed as under:- “Application for the post of Monitor (Language _____________)/Sr Monitor (English)/CA” should be reach to BECIL's Corprate Office C-56, A/17, Sector-62, Noida on or before 15-09-2017 Hrs on wards. Last Date for Application: 15-09-2017 Hrs.